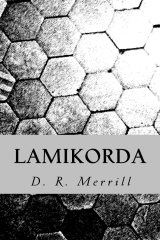 Kiitra Language | Guide to the constructed language(s) in the novel "Lamikorda"
Guide to the constructed language(s) in the novel "Lamikorda"
This site provides information on Kiitra, the principal constructed language used in the science-fiction novel Lamikorda; there are also notes on the other languages cited, including the body language used by the Alplai people in the novel. While Kiitra was created to give greater verisimilitude to the novel, the author also encourages people to study, utilize, and even offer suggestions as to its continued development. Kiitra is listed in the Conlang Atlas of Language Structures. The Kiitra lexicon currently has over 4200 entries and continues to grow; suggestions are welcome via the feedback page.